The average salary for open Software Engineer jobs is currently $90,080, 13% lower than the national average salary for all jobs which is $102,673. There are 27 vacancies for Software Engineer roles in Halifax available immediately, compared to 9 in Dartmouth. 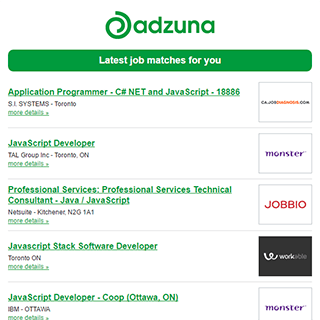 Companies presently offering vacancies for Software Engineer roles in Halifax include Quest Global Research, RBC, EY..
Get the latest Software Engineer Jobs in Halifax delivered straight to your inbox!